Jennifer is an Associate in the firm’s San Diego office. 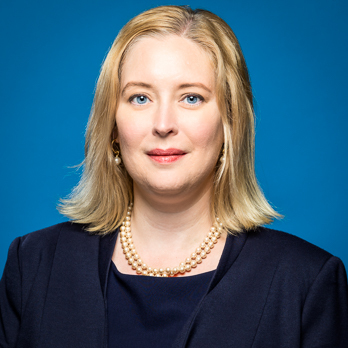 Her practice focuses on United States and international trademark prosecution, litigation, enforcement, and portfolio management. She advises clients on selection and protection of worldwide brands, trademarks, domain names, and other promotional activities. Jennifer represents both large and small clients in industries including: software, mobile apps, computer gaming, advertising, food service, telecommunications, apparel, cosmetics, financial services, alternative energy and education. Prior to joining the legal field, Jennifer was a biotechnology professional with more than a decade of experience in scientific research and clinical development. Her work with diverse technologies including gene therapy, diagnostics, oncology and virology, provides the strong complex problem-solving capabilities she now uses to practice law. During law school, Jennifer was president of the USD Intellectual Property Law Association winning the Student Organization of the Year Award. She published a paper on counterfeiting in the San Diego International Law Journal and served as comment editor. She also earned several CALI awards for the highest grade in her class while gaining experience in intellectual property and business law while working at firms in San Diego.